From gaming apps to retail stores, countless businesses want to understand how well they are retaining various cohorts of customers, and what to do about it. 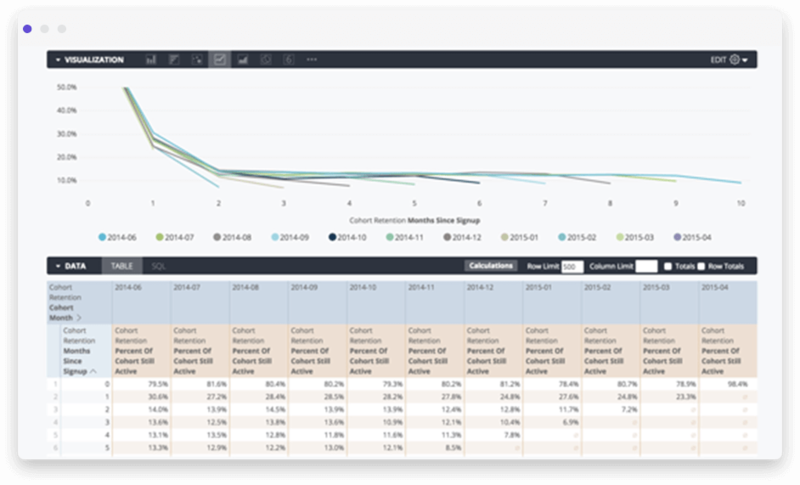 The Looker Block for Retention Analysis provides comprehensive analysis around retention levels for each cohort of users. Users should employ this block to understand the factors that influence customer retention and to identify the most valuable customer cohorts, among other uses. 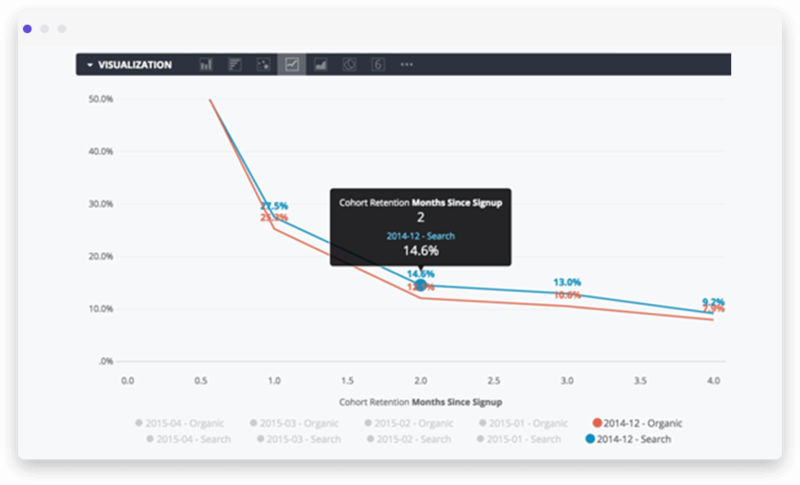 When our users select activity_month, signup_month, and percent_of_cohort_still_active, they'll see percent user retention by cohort all from a single query. Then, they can filter or pivot by user acquisition source, drill into specific users, and find trends that might actually impact how their marketing team chooses to spend user acquisition dollars. There are lots of extension to this Block as well. 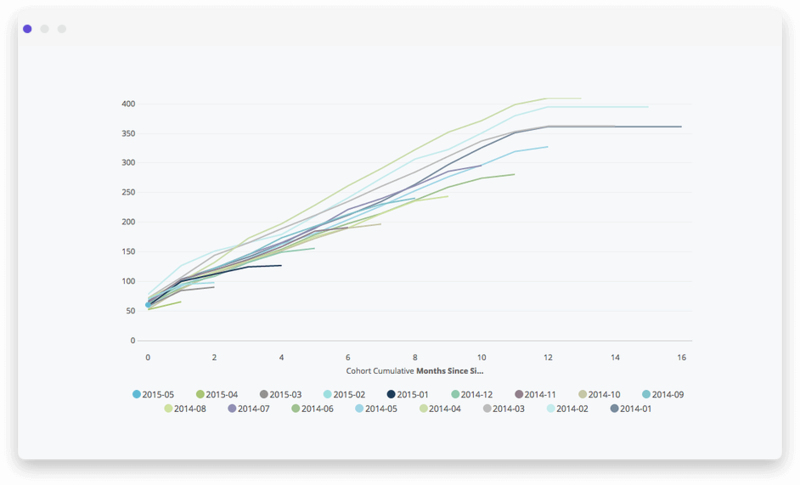 Evaluate each cohort by total cumulative spend, or any other characteristic of users.